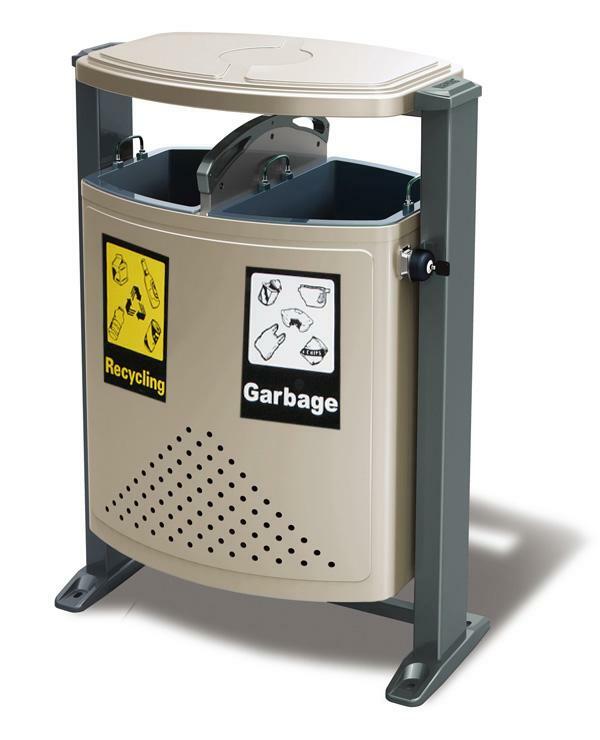 DOSmith Recycle Bins The RD01 recycle bin is practical and attractive, manufactured from galvanised and powdercoated metal making the RD01 recycle unit suitable for indoor and outdoor use. 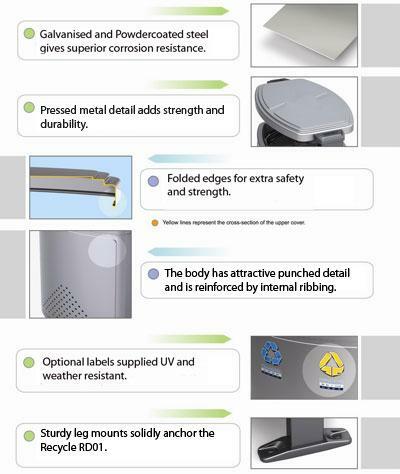 The RD01 recycle bin is practical and attractive, manufactured from galvanised and powdercoated metal making the RD01 recycle unit suitable for indoor and outdoor use. The RD01 recycle bin features one general garbage & one bottle/cans section. Recycling bins encourage recycling in food courts, education institutions and other public areas. The RD01 is available with optional recycling signage so the bin may be used as either a recycle bin or normal litter bin. Other features include a keyed lock and heavy duty floor mounts. Liners are easily accessed by a clever swivel body which also allows for easy cleaning. 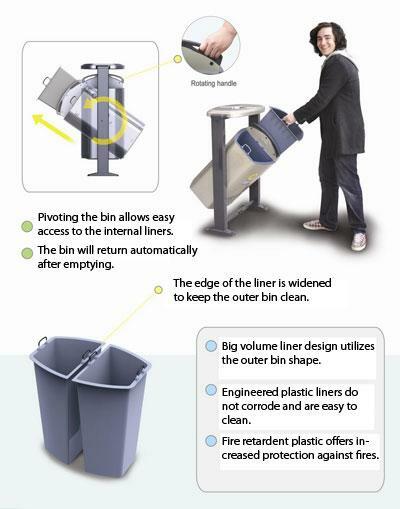 DOSmith manufacture and distribute a large range of Recycle Bins for Public Spaces. This item is usually available ex stock and will be delivered within 7 working days from placement of order. Stock availability and delivery time will be confirmed upon receipt of order. · Liner size 36 ltrs per liner.